The National Health Service Bill 2016-17 (often known as the NHS Reinstatement Bill) – put before the last Parliament as a Private Members’ Bill – seeks to overturn the Health and Social Care Act and eariler legislation under previous governments which brought in first the internal market and later the explicit deveopment of external market forces. 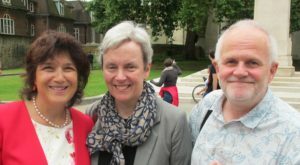 The authors of the bill, academic barrister Peter Roderick and Professor Allyson Pollock, have created a draft bill which, in its detail and breadth, shows just how far the NHS has gone away from the core principles of Bevan’s NHS: in that sense it is a campaigning road-map to follow to bring the NHS back to being a publicly owned, publicly funded and publicly accountable service. KONP fully backs the campaign to restore the NHS back to its full stature as a public service and reverse the current privatisation that is wrecking it. The NHS Bill is a legal solution to the current problems facing the NHS after more than 25 years of legislation seeking to break it apart. KONP supports the NHS Bill. The Campaign for the NHS Reinstatement Bill promotes the Bill. All posts relating to the NHS Bill can be found here.